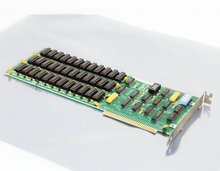 IBM 1501003 64KB memory module kit. Original IBM option for IBM 1501989 memory card. 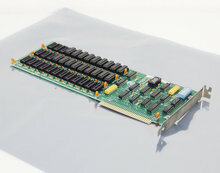 Contains 9x OKI M3764-20RS 64Kx1 8KB 200ns 16-pin DIP DRAM chip for a total of 64KB (also includes 1 parity chip). Complete set, documentation in English. - An IBM PC XT with these memory chips installed passed POST fine.